Based in Oxfordshire, UK, in the centre of a thriving equine area, Ben Benson has an established farriery business catering for many professional riders. 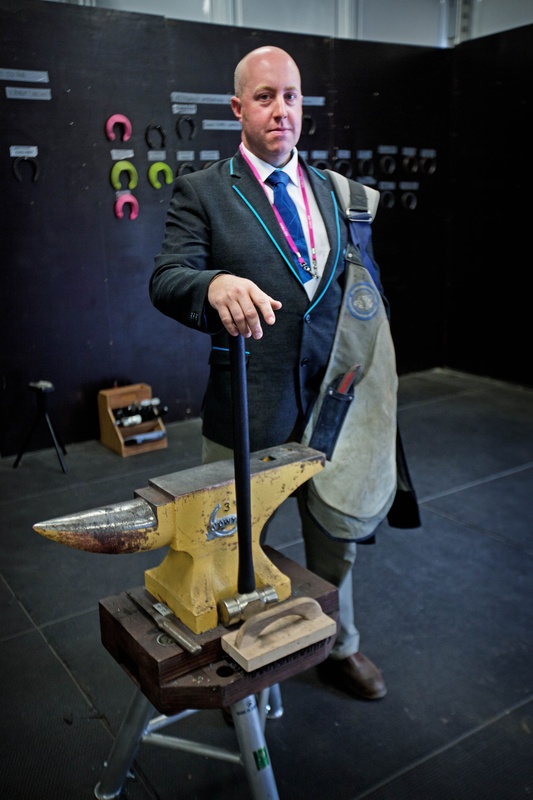 An Approved Training Farrier, Ben was instrumental in the Forge at the London 2012 Olympics alongside Jim Blurton AWCF and acted as NTO (National Technical Official) for the Paralympics heading the team of 13 farriers who provided around the clock care throughout both events. Ben’s Father was a farrier and as many small boys do “wanted to do what Dad did” and so it was arranged for Ben to spend time with a local blacksmith. After spending two weekends sweeping the floor numerous times he was allowed to do some forging, “something clicked” and Ben found it incredibly satisfying being able to “make something”. Despite interests in game keeping the more forge work he did the more addictive it became. Ben flew through the ‘pre-farrier’ course and successfully secured himself an apprenticeship with Haydn Price DipWCF. Through Haydn Ben was introduced to horse shoeing competitions and competition horses, his first real taste of “Formula 1 cars”. Haydn ‘opened Ben’s eyes’, “his passion is never ending and he works in many different areas…he gave me the tools to work with”. Ben completed his apprenticeship with David Smith AWCF and Ben credits David for being the one who “told me how to use the tools” and it is David who Ben credits with helping him win the Apprentice National Championship. In addition, Ben’s Father was incredibly supportive and as an apprentice would often pop a ‘note’ in an envelope with a “don’t tell your Mother” message included! “This would have to be shoeing a fat-bottomed cob, quite happily stood on its hind toes with its heels elevated off the floor – his owner seemed to be completely oblivious”. “Not doing the American Exchange as a newly qualified farrier”. Ben’s next goal is his Associate examinations, “would love to be involved in another Olympics” and to continue his involvement in the Excel and World Class programme’s. Whilst Ben does not actively compete in farriery competitions he still sees himself as a competitive farrier. Nearly 90% of the horses he shoes are competition horses, many ridden by professional, full time riders. Ben does not feel you need to do competitions to be a good farrier. 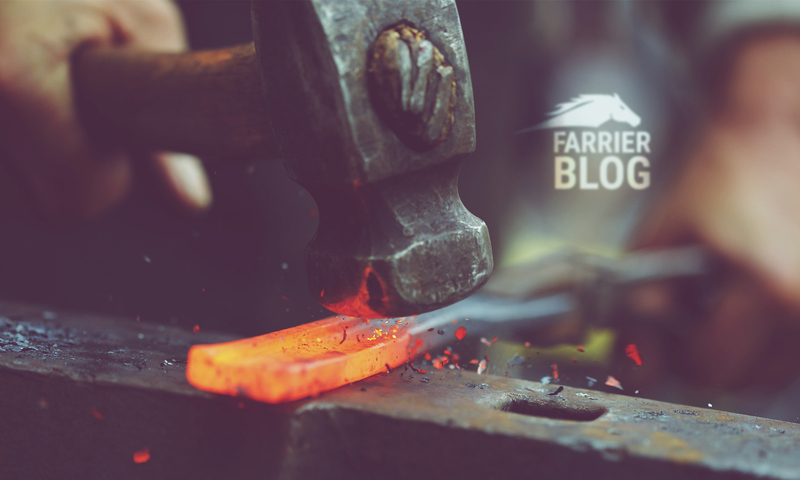 “Farriers are their own worst enemy; we can decide how it goes. Poor farriery promotes the positive aspects of barefoot trimming; work is there to be lost not taken”. Ben highlighted the need for horse handling skills, “calm, no screaming or yelling. The ability to handle a horse, put it at ease to get through a situation, how to hold a horse”.